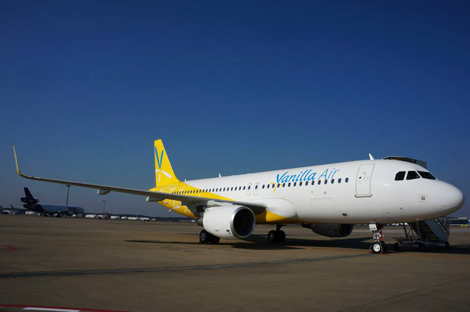 Vanilla Air started its first domestic and international services on December 20, flying from Tokyo Narita Airport to Okinawa Naha Airport and Taipei Taoyuan Airport. The routes are the airline’s first services after being re-branded from Air Asia Japan (see story here). The carrier is also scheduled to reach Sapporo in January and Seoul in March. For in-flight meals, passengers can select “Bounty of the Sea Paella Style Rice”, “Chunky Vegetables”, “Tender Beef in Demigrass Sauce”, “Arabic Bread Pocket Sandwich” and “Meatlover’s Mince Cutlet Sandwich”, costing from ¥500 (US$4.75) to ¥700 (US$6.64). 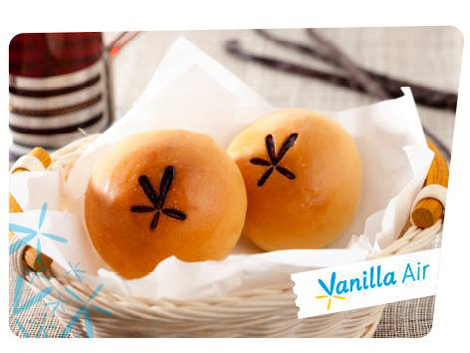 There are also sweet offerings for passengers, including “Milk-dama Balloon Pudding”, “Family Fun Pancake” and “Creamy Custard Bun Vanilla Air Special”, with prices ranging from ¥200 (US$1.90) to ¥500 (US$4.75).